Having children is undoubtedly one of the most magical experiences for any parent. Plus seeing that child grow up and finally get married, remains one of the most cherished, memorable and somewhat relieving experiences for a parent. 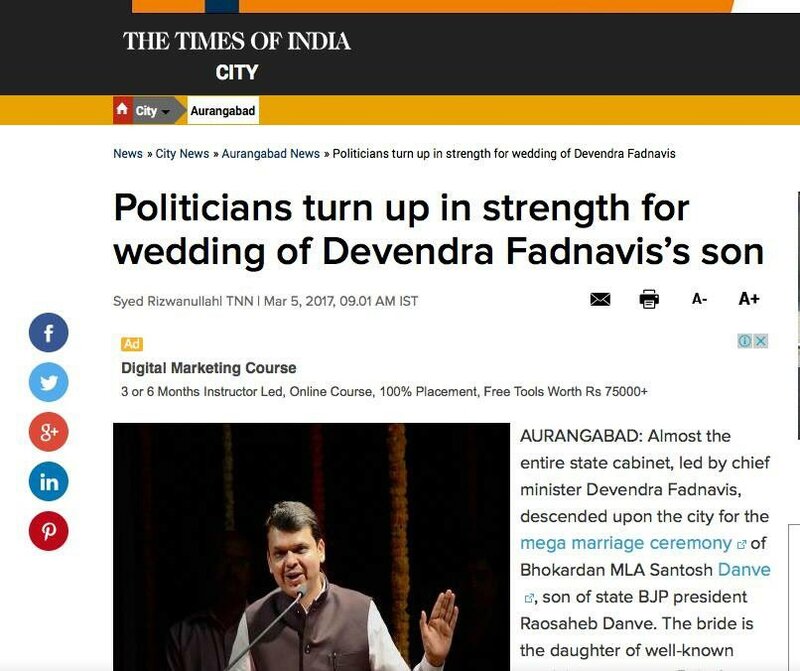 This may have come as a pleasant surprise or brutal shock for Devendra Fadnavis as not just his son didn’t get married, apparently he doesn’t even have a son. As it turns out, he just has one daughter named Divija who is young and goes to school. The TOI report’s content though seems to mention the correct news that the marriage ceremony was of Bhokardan MLA Santosh Danve, who is the son of State BJP president Raosaheb Danve. CM fadnavis a father of a little girl who is in primary school.